Genealogy, also known as family history, is the study of families and the tracing of their lineages and history. Genealogists use various records to obtain information about a family, including searching the parochial registrars. As such, Christ Church, Bessbrook hold various historical registrars belonging to the Church of Ireland parish of Camlough. 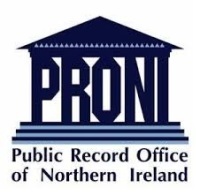 Other records are held by the RCB in Dublin or by the Public Records Office (PRONI) in Belfast. If you are interested in performing such a search or researching your family tree, and wish to contact Christ Church, please use the Contact Form below. A fee applies to all searches undertaken within the parish, with additional fees for any copy certificates. Click on image to visit PRONI website. The above links take you outside our website and therefore, Christ Church, Bessbrook cannot be held responsible for their content.